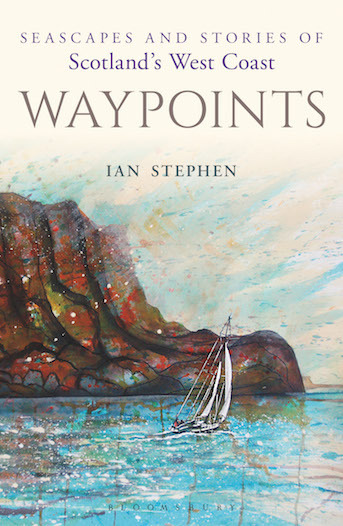 Waypoints - seascapes and stories of Scotland's West Coast is the result of many years of exploring the idea that coastal navigation and storytelling have a lot in common. 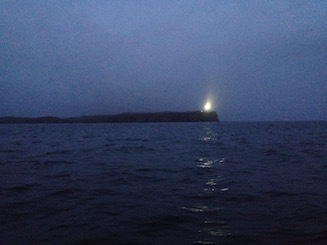 The shape of Garbh Eilean, one of the Shiant Islands (just about appearing through the mist in the above image) is a recurring icon in the work. 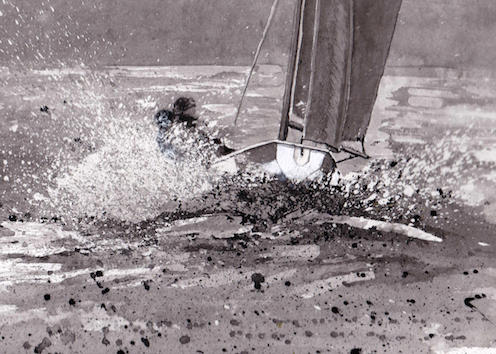 Illustrations and the cover image by Christine Morrison are also indebted to several years of voyaging together. 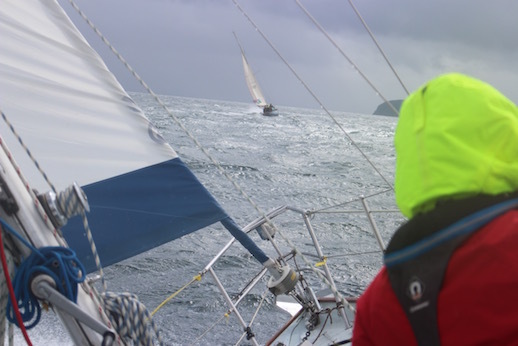 Amy Ryan image of El Vigo beating, east coast of Lewis, taken from the deck of the Contessa 32 Roaring Meg. Amy is a grand-daughter of a former owner of El Vigo and therein lies many a story. Transits is the working title of a second book which alternates factual accounts of voyaging with my retelling of a folk-tale set in the geography observed. This time the book is also a portrait of the author's relationship with the sloop El Vigo . is the working title of my current writing project, funded by an Open Project Award from Creative Scotland. In one sense my secnd novel will be a free-standing work but it will also fall in place as part of a planned trilogy. 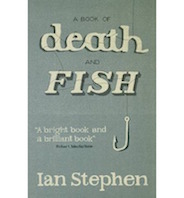 Readers of A Book of Death and Fish (Saraband) will recognise, at times, the voice of the wayward storyteller, Peter MacAulay. A terraced garden contained by hot stones, piled by penal servitude. But death didn’t follow the order of rank as it plucked the bairns from cliff or bunk. Up the slope, the seeds that nobody planned to leave in the ground under cut names. 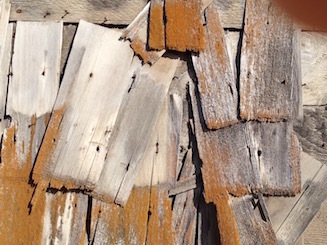 A picket of frail white slats against the saturated blue of the Southern Ocean. Maybe the keening mothers, wives to the keepers of light, earned their own rights to a patch of Van Diemen’s Land. Christine and Ian also worked together on the images and texts from voyages developed in partnership with Museum nn Eilean, an Lanntair, Stornoway, an Talla Solais, Ullapool and Taigh Chearsabhagh, Lochmaddy as the exhibition, Grammar of Wavelength. – a new and selected poems on sea themes, published by Saraband in 2016. Rathlin Sound Maritime Festival - Ian and Christine from Lewis in their own El Vigo to take part in the 2015 , 2016 and 2017 events. 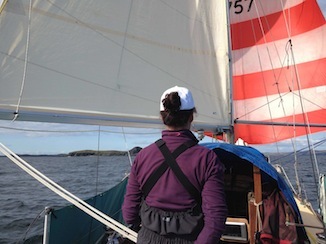 Their event Voyage, developed for the 2013 Edinburgh International Storytelling Festival, with the singer Kirsty Law, was performed on Rathlin with the skipper and tin-whistler Ken Linklater contributing tunes and percussion. The show, this time with the sound-sculpture of Giles Perring, also opened Settle Stories festival in Yorkshire (9th to 12th Oct). 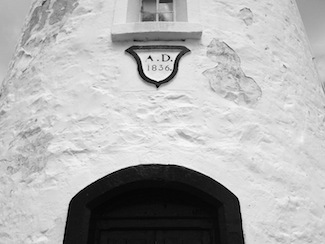 The linked sequence of stories A Circumnavigation, winner of The Village Festival commission n 2014 and first performed at the CCA, Glasgow, with music by Peter Urpeth, was also re-made on Rathlin and its themes fed into the current novel. "Voyage is a superbly crafted storytelling experience in which narrative, song, music and evocative visuals all combine to draw us into the storytelling magic…. the perfect launch for the Scottish International Storytelling Festival 2013’ (Donald Smith, Festival Director ). Ian represented Scotland in Canada as part of the Scottish Poetry Library's exchange of 6 Scottish poets with 6 poets from Commonwealth countries. Christine was funded to travel with Ian and make work in response, thanks to Creative Scotland – a comparison between a 3 night voyage to Shetland and a 3 night train journey over the prairies. This is another body of work – joint responses to travels – which has fed into Grammar of Wavelength. it is an exhibition still developing as it moves from venue to venue. Expressions of interest from public or private galleries are invited.